Anya Klyukanova is the Communications, Programs and Innovation Awards Manager at GTEC, Berlin. 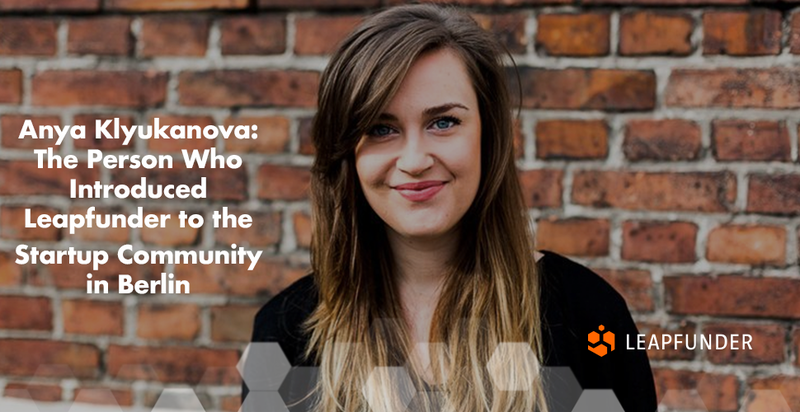 Before joining the GTEC team, she worked in a few startups and helped establish the Skolkovo Institute of Science and Technology in Moscow, working alongside some of the most innovative minds inside Russia. She introduced Leapfunder to the startup community in Berlin and made the Round Table Sessions a cornerstone event in the startup scene. 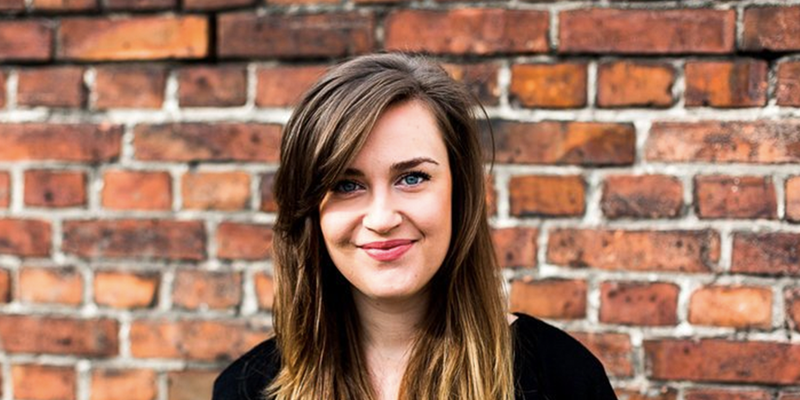 Find out what she thinks about the Berlin startup scene and how the ecosystem reacted to Leapfunder’s presence. 1. Hi Anya, thank you for agreeing to do the interview. Tell us a bit about your background and your role at Leapfunder. Hi there, sure thing! I actually work for GTEC (German Tech Entrepreneurship Center), but I’ve been supporting Leapfunder in expanding its presence in Germany. My background is quite varied: I graduated in Political Science and did a Masters in Policy, but I’ve always been focused on how to kickstart projects and make them grow – that’s the part I enjoy the most. At GTEC, I run the events, communications, and Innovation Awards while building up the GTEC family around the globe. 2. Since last year Leapfunder is live in Germany. Integrating into a startup community is not so simple. How did you help Leapfunder become a part of the startup scene in Berlin? Leapfunder has something that young Berlin founders need and that’s always the first step for integrating into a new scene, no? The product/market fit was there and I was able to support this by bringing the right people to the table. After 2 years at GTEC, I’ve had the pleasure to get to know many different players in the scene and I was happy to give them the opportunity to meet Leapfunder and each other. 3. Tell us about the Berlin startup ecosystem. How does it react to Leapfunder’s presence? Are the Round Table Sessions and Leapfunder Open Office Hours at GTEC making a difference? The Berlin startup ecosystem is blossoming and maturing – and it’s only getting bigger. Just last year, startup investment in Germany jumped by 88% and Berlin made up 70% of that, so there are inevitably some big changes ahead. The initial reaction to Leapfunder was swift and sweet, with the community growing exponentially and the Leapfunder name carrying more weight than before. 4. You’ve done a great job introducing Leapfunder to the startup community in Berlin and we’re very grateful for that. What do you feel you’re getting from this experience? Thank you, it’s been my pleasure! Leapfunder has given me the chance to get to know many young startups that are hungry for advice and opportunities, and I always love being around people who are passionate about what they do. I also enjoy hearing from the founders who’ve received funding through Leapfunder and from the investors who are excited about what their investments could bring them. 5. Tell us about the upcoming Round Table Sessions in Berlin. When? Where? The best way to RSVP? What to expect? GTEC hosts the GTEC + Leapfunder Investor Round Tables every second Friday of the month starting at 3 PM. We always finish with beers and a good, productive time. The format is unique, with 2 investors being placed in a room with 1 startup, and the startup is given 30 minutes to ask questions, share challenges, and learn from the expertise of the investors. There is no asking for funding – but you never know what could come out of these meetings. Startups are welcome to apply here, and investors who would like to join can do so here. See you there! Thank you for sharing your experience with us, Anya. We wish you the best of luck in your future endeavours.